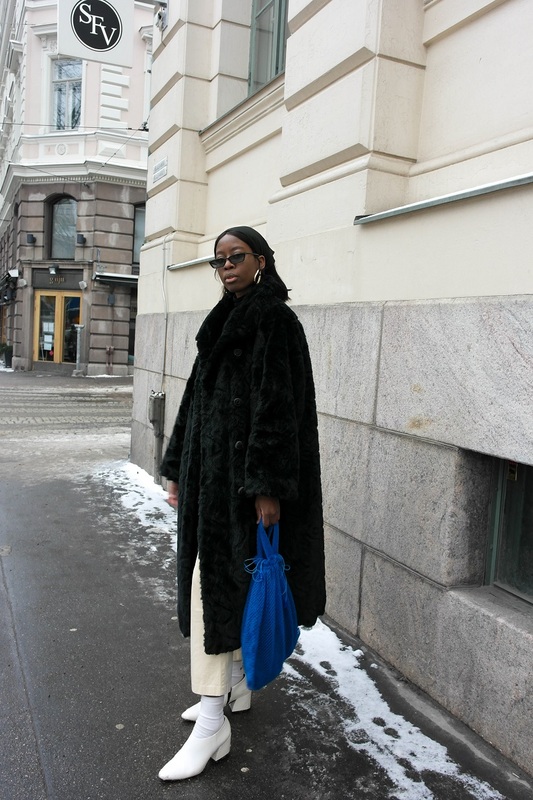 There’s nothing I love more than a good oversize coat. And if it’s faux fur, even better! bag. And lastly it wouldn’t be a look of mine if it didn’t include a pair of tiny sunglasses. This time I also added a black bandana to complete the look. Love your blog and style. 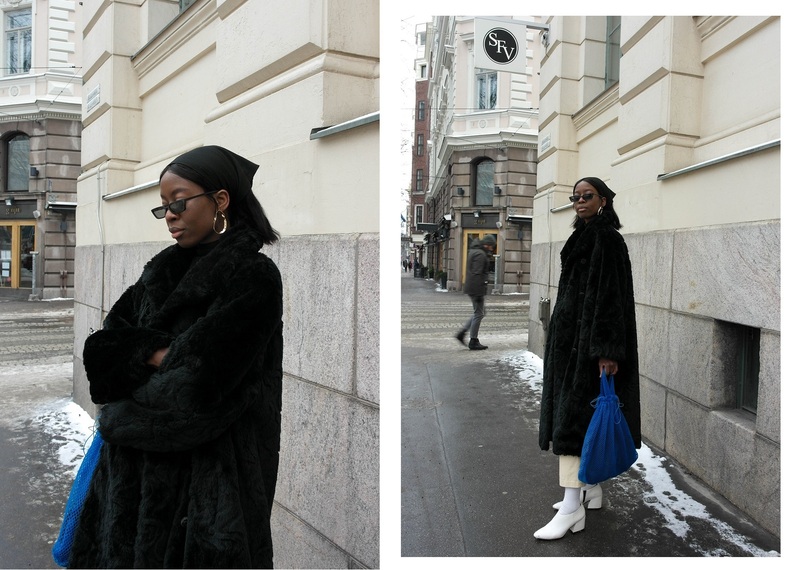 Have you ever considered vintage fur coats? I have a couple and love the fact that not only are they warm, they are second hand, and can be made into a fur throw (which I did with my oldest coat once it got too ratty). Also, it is natural and biodegrades completely. I looove this look, especially the pop of color with the bag!